Immunotherapy reduces cardiovascular risk in patients with rheumatoid arthritis, according to research presented today at Frontiers in CardioVascular Biology (FCVB) 2016 by Professor Aida Babaeva, head of the Department of Internal Medicine, Volgograd State Medical University, Volgograd, Russia.1 The combination of two extra-low dose anticytokine drugs reduced rheumatoid arthritis disease activity and cardiovascular events. Professor Babaeva’s previous research showed that treatment with anticytokine drugs can decrease the activity of rheumatoid arthritis. Extra-low dose anti-TNFα reduced levels of inflammatory mediators and cytokines including C-reactive protein (CRP), rheumatoid factor, TNF, interleukin-1 (IL-1), and interleukin-6 (IL-6). The effect was more apparent and developed earlier when patients were treated with a combination of anti-TNFα and anti-IFNƔ, both at extra-low doses. The current study investigated the impact of the combination of drugs on cardiovascular events. 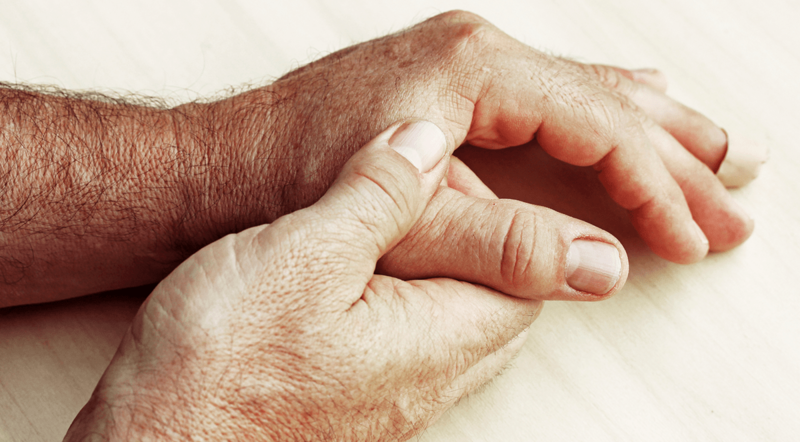 It included 68 patients who had suffered from active rheumatoid arthritis for at least five years. Patients were randomised to receive the combination of anti-TNFα and anti-IFNƔ plus standard disease-modifying therapy (38 patients) or placebo plus standard therapy (30 patients). During the three year follow up period the investigators monitored rheumatoid arthritis disease activity and cardiovascular events. Patients taking the combination of anticytokines had a lower rheumatoid arthritis disease activity score, as measured by the DAS28,2 and more dramatic decreases in IL-1, IL-6 and TNFα than the group on standard therapy alone. The incidence of cardiovascular events (unstable angina, severe hypertensive crisis, and deterioration of chronic heart failure) was more than double in the group on conventional disease-modifying drugs alone (37%) compared to those also taking the combination of anticytokines (13%). For example, rheumatoid arthritis is associated with dysfunction of the blood vessel lining (called endothelium), which leads to lipid accumulation in the artery wall, plaque formation and atherosclerosis. Increased disease activity is also linked with a pro-coagulant state in which patients are more prone to blood clots and thrombosis. Patients with active disease have an increase in molecules that promote inflammation, which has been associated with an increased risk of cardiovascular disease. In patients with hypertension, target blood pressure was reached in 71% of those taking the combination of anticytokines compared to just 32% of patients on standard therapy alone. “We found that the combination of two anticytokines containing extra-low doses of antibodies against TNFα and IFNƔ can improve the efficacy of standard rheumatoid arthritis therapy and decrease cardiovascular risk,” said Professor Babaeva.